Static Power specializes in service maintenance programs to keep your emergency and back-up power supply systems operating at full efficiency. We understand that it is critical for your power protection systems to be carefully maintained and operational. 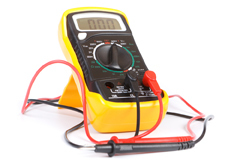 Power protection systems are designed to provide your power supply when the main support systems or utility power fail, so regular, thorough testing and maintenance of the systems are required to ensure that they will work when they are needed most. In addition, Static Power is under exclusive contracts for many manufacturers to provide service and repair to their customers. Our maintenance services provide a single-point solution to your power equipment maintenance requirements. Static Power offers service agreements that can be tailored to meet your company’s specific needs. Our service agreements are managed by a nationwide network of field service engineers supported by our professional sales and support staff. Maintenance agreements – Maintenance agreements with adjustable response times and different care levels are available. Contract discount pricing applies to all agreement types and plans. Preventative maintenance visits are included in all maintenance agreement types. On-site service – On-site service provides convenient, prompt service and repairs for your equipment. With small UPS units, it is often more cost effective to have them repaired at our fully-equipped depot. Preventative maintenance – Periodic preventative maintenance visits are included in the maintenance agreements, including options for annual, bi-annual, or quarterly visits. Battery replacement programs – Enhancing standard or full service agreements to provide different battery replacement options, from 10 to 100%. Battery maintenance – Maintenance options for batteries, with semi-annual, quarterly and monthly preventative maintenance are available to ensure long life for your back-up battery systems. Remote system monitoring – Remote monitoring services to monitor battery life, runtime availability and the integrity of UPS and DC power equipment ensure that your systems are operating at peak effectiveness. Consulting – Our sales and support staff will work with you to recommend the most effective maintenance and service agreements for your equipment. Static Power is dedicated to providing high-quality services that will exceed the expectations of our clients. The products and services we provide are those that you rely on when other systems fail, and provide back up to those critical systems. As a result, we are committed to providing the services to keep the back-up systems operating at peak effectiveness.